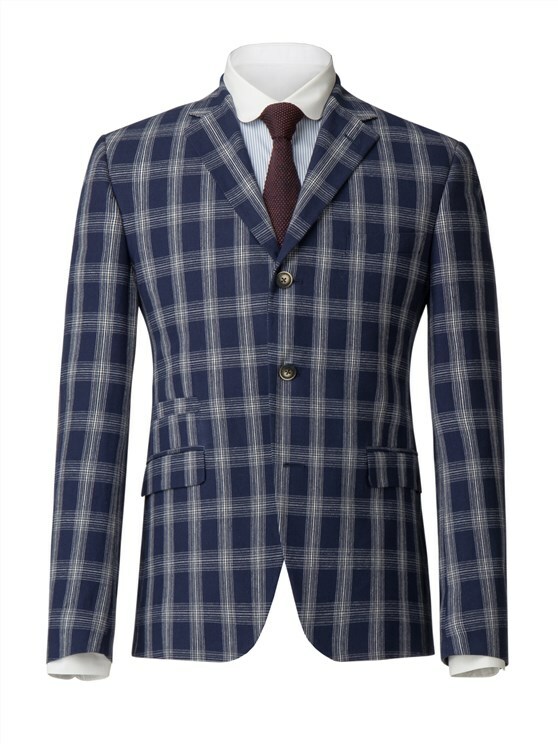 Gibson London present their interpretation of the style that set the 1960s on fire! 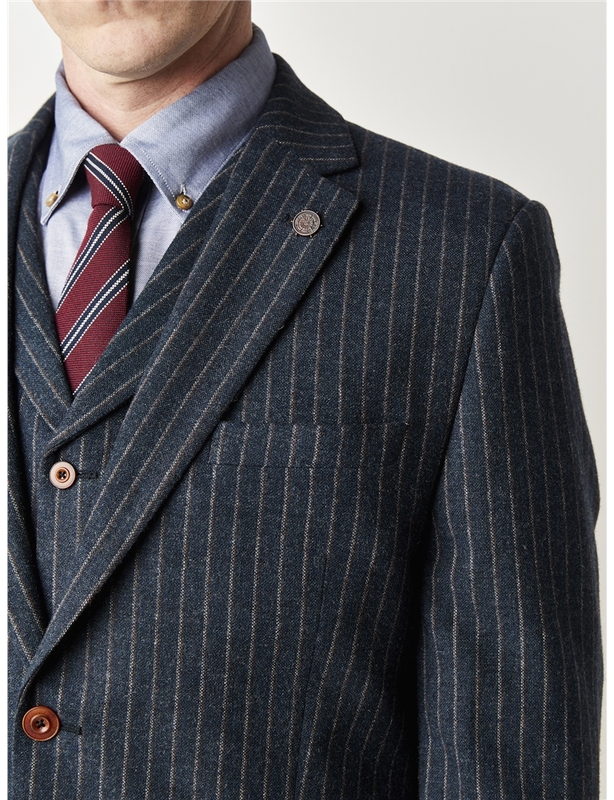 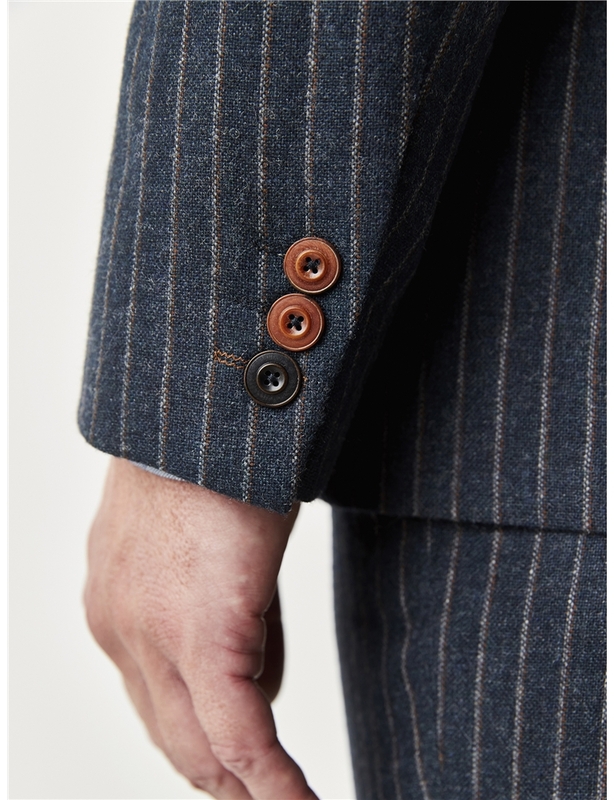 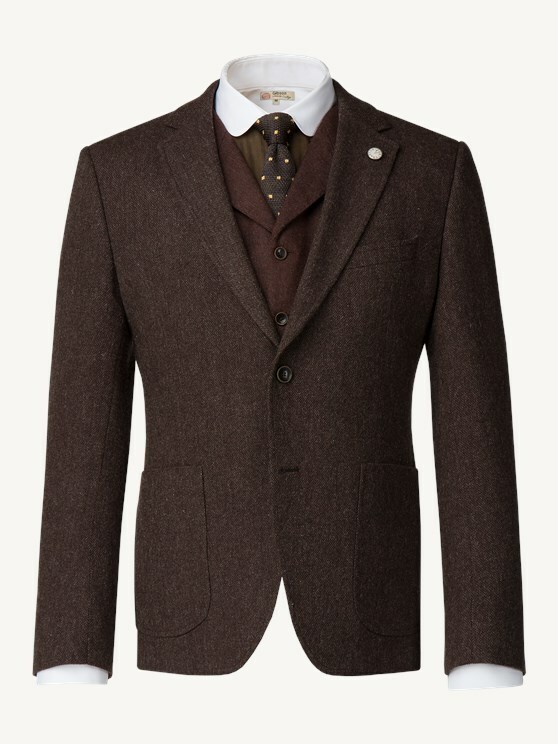 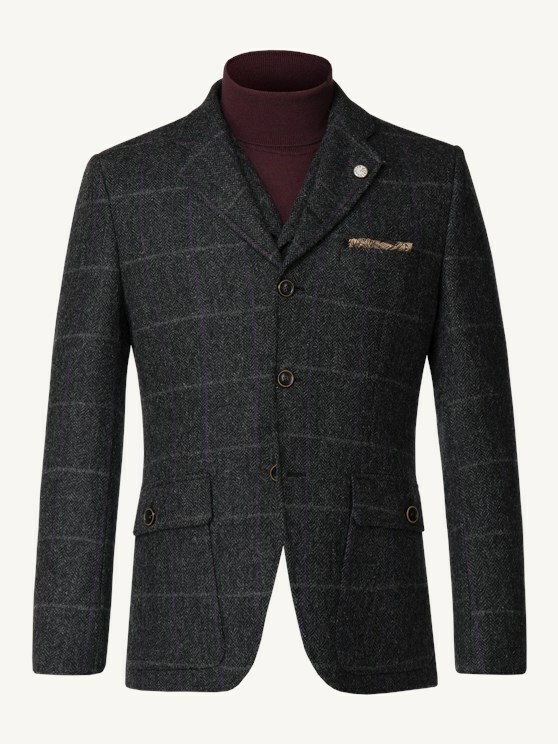 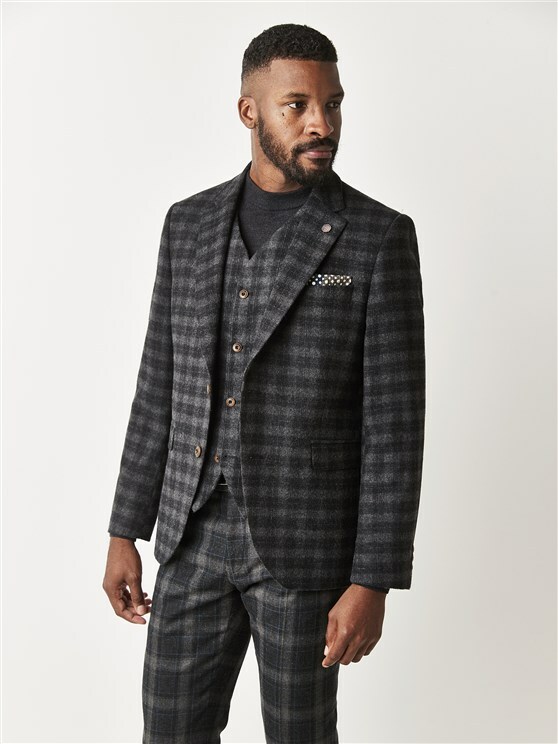 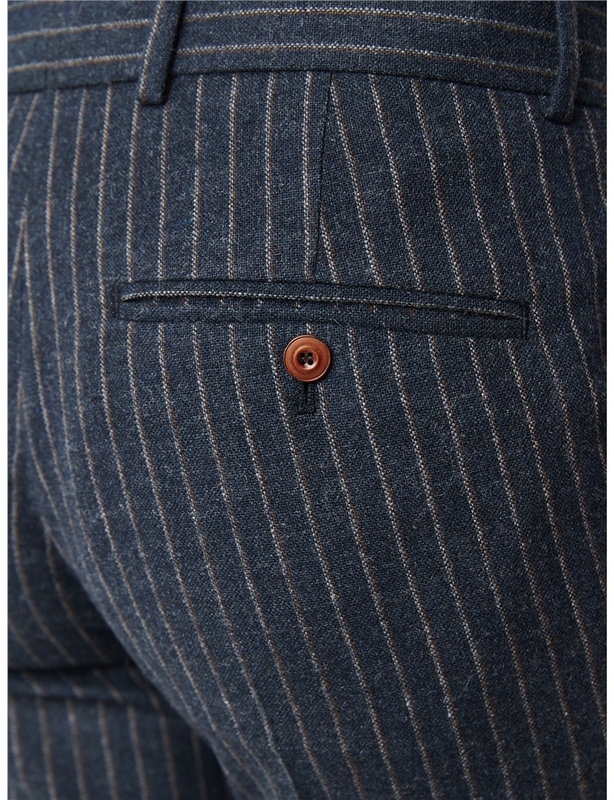 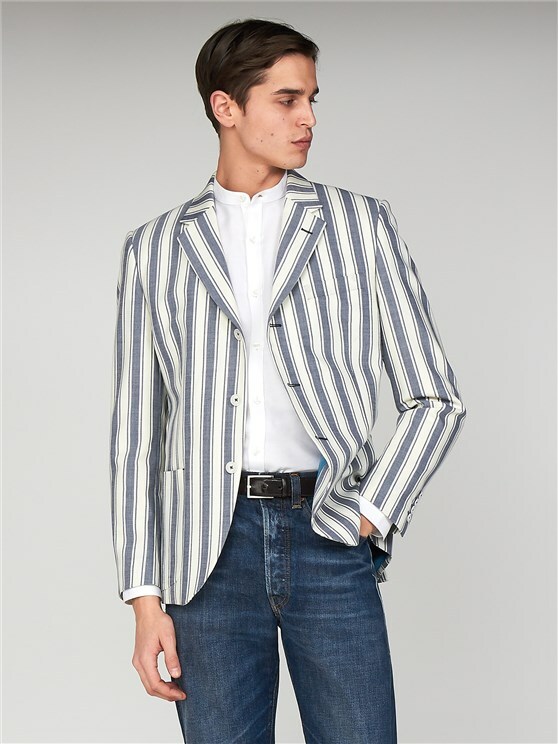 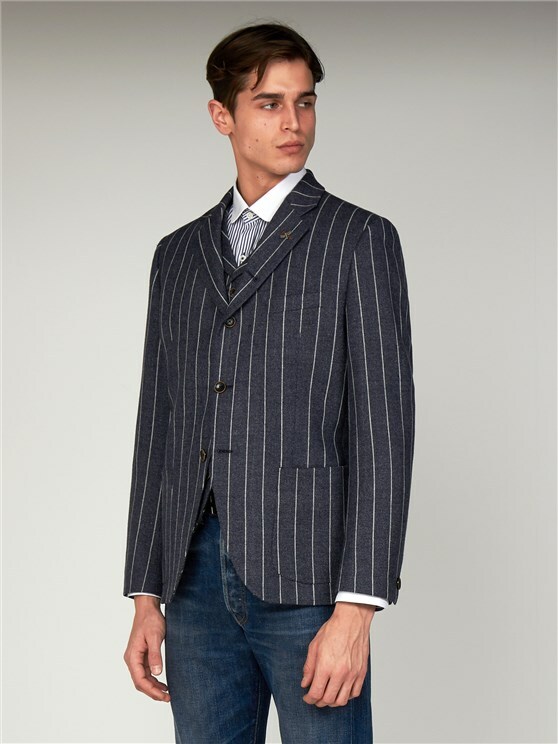 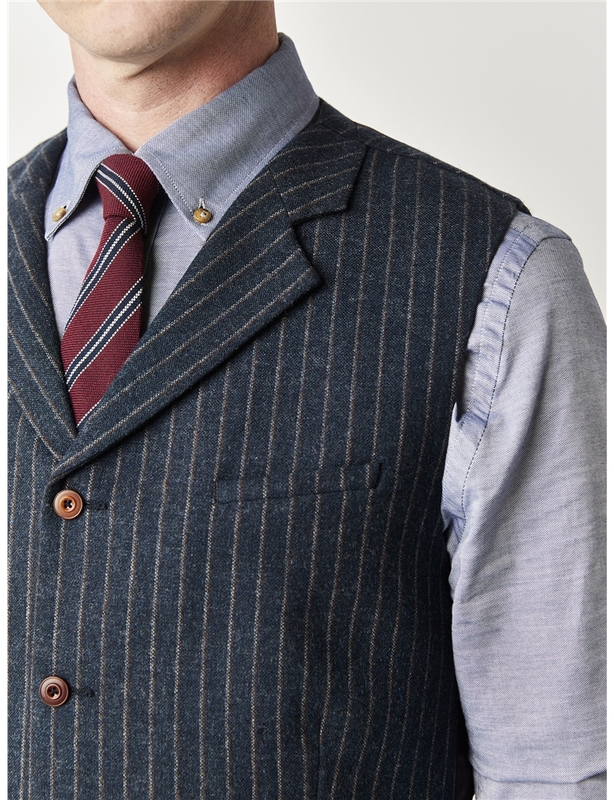 In a signature blue brushed stripe fabric, this classic touch on the slim fit Towergate Jacket boasts the Gibson hallmarks of quality and style, with an individuality that's utterly timeless - and utterly classic. 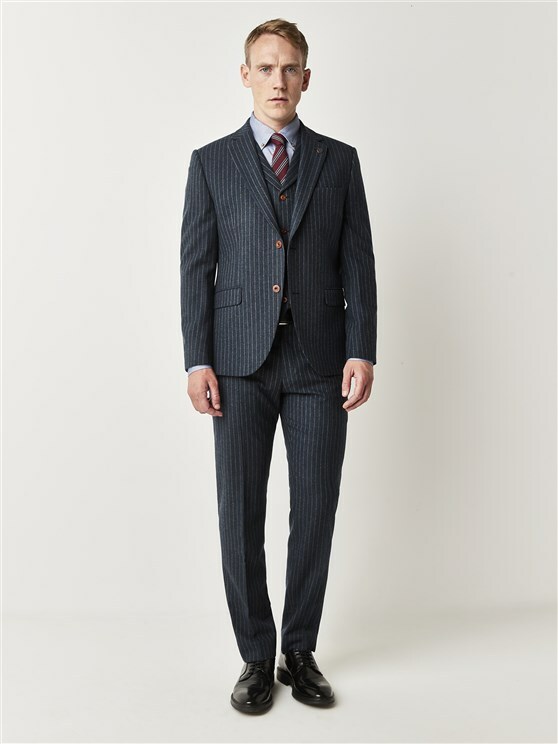 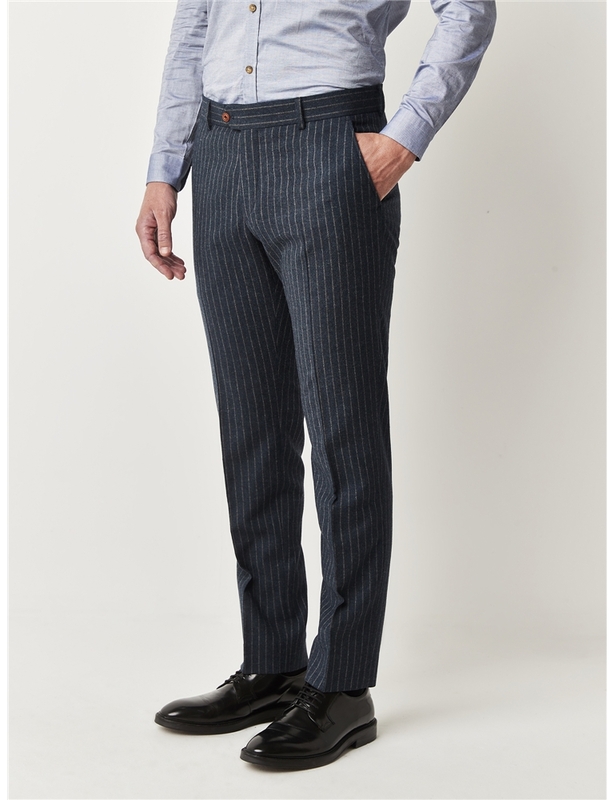 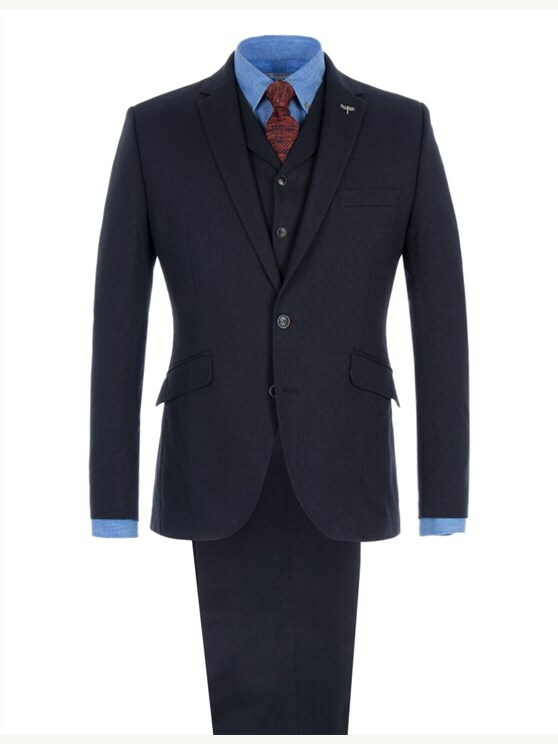 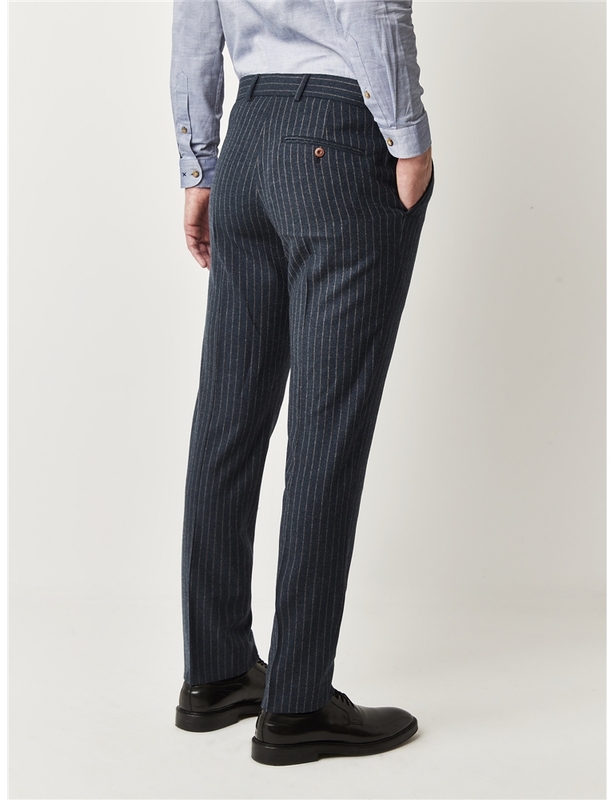 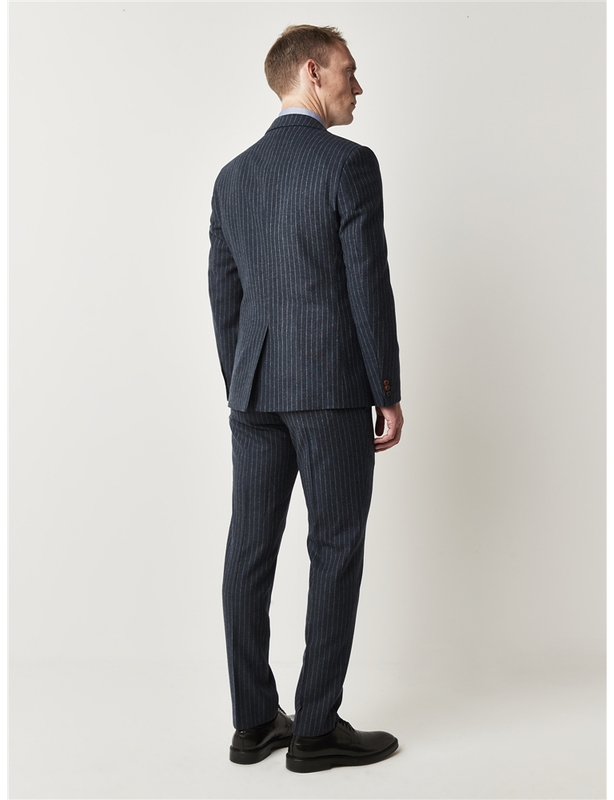 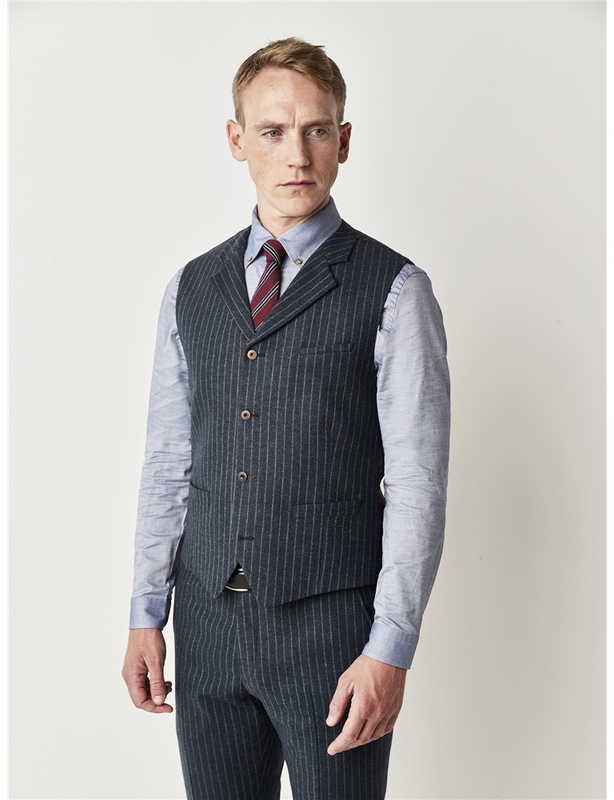 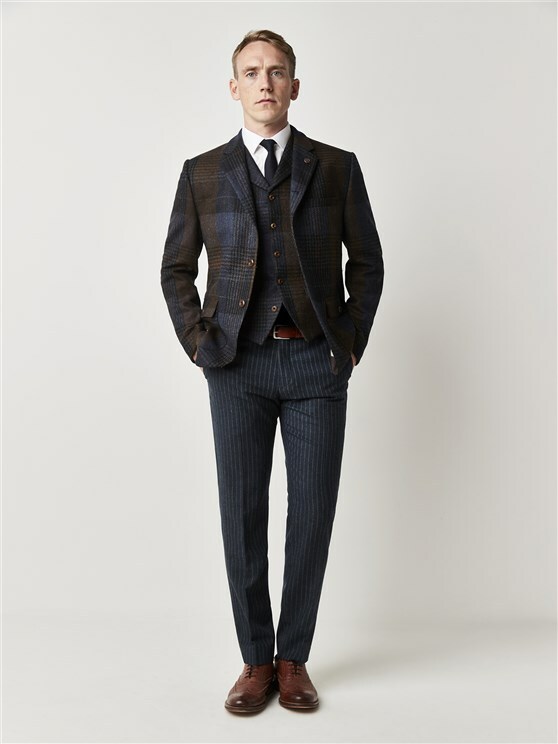 With a deep blue shade, blue striping, narrow lapels and contrast buttons, this stylish blue slim fit suit boasts a pull out handkerchief and a unique profile with two-button fastening.